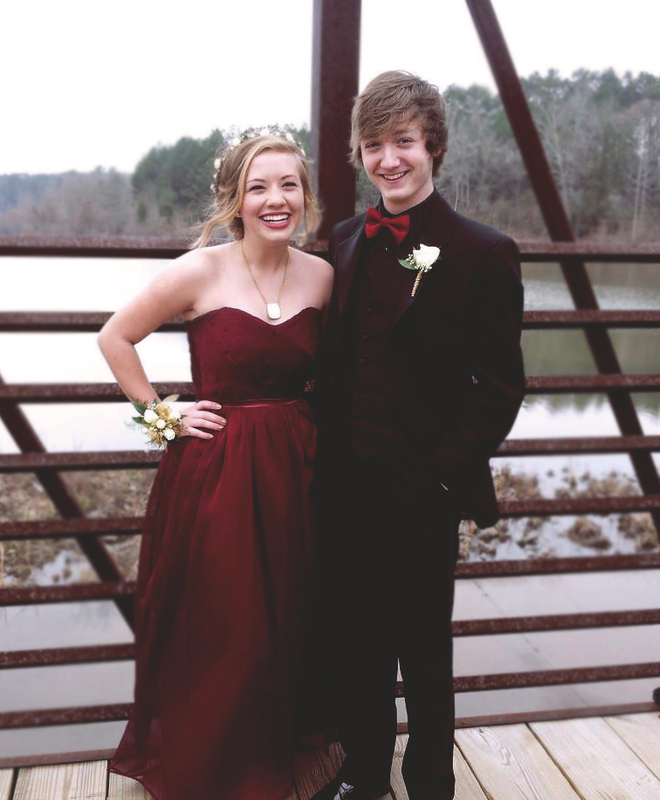 Because it’s Prom Season, and we’ve never featured a custom Prom gown in our “Epilogue” section, I thought I’d share this scarlet, sweetheart creation we did for one of my favorite customers–my cousin Mary Chandler in Grayson, Georgia. Last year I worked with Mary Chandler to design a soft, silvery gray Prom gown, with beading and ruffle detailing. This year, she wanted something somewhat simpler but no less beautiful. I love the delicate, sophisticated look of this gown. 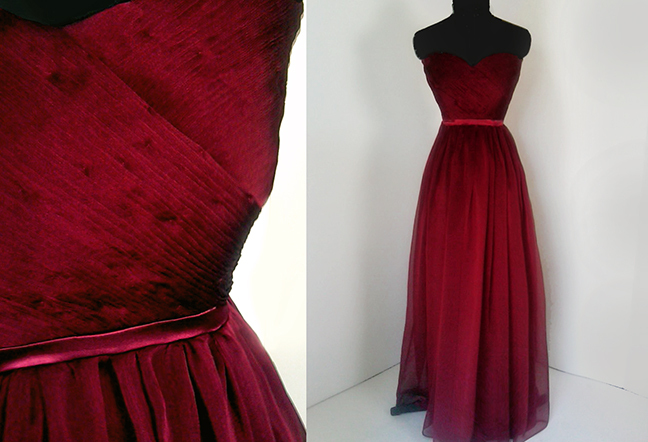 It features wrap-around rouching on the bodice, a thin satin waist band, and flared a-line skirt of two-tone silk chiffon. And I love Mary Chandler’s decision to complete the look with a soft floral crown. Styling perfection. Previous postSwept from the Sea. Love this dress!!! Mary Chandler looks amazing, too!